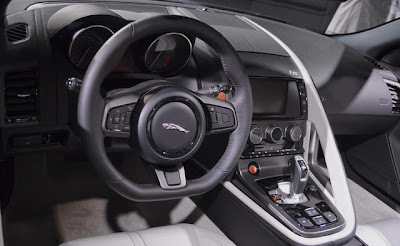 Carnation Auto Blog: Why Jaguar F-Type is the Most Awaited Car of 2013? 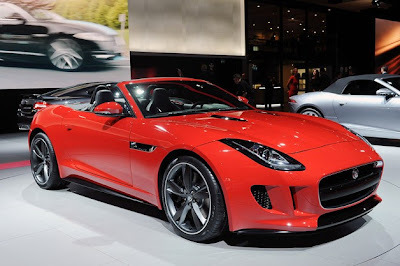 Why Jaguar F-Type is the Most Awaited Car of 2013? The British Automaker surely knows the art of making things look good. 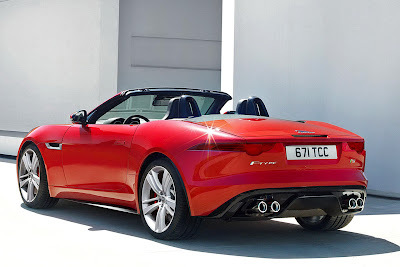 After shining in the Paris Motor Show 2012, Jaguar F-type is ready to hit the Indian roads in mid 2013. It's a stunning sports car and supposedly the saintly successor to the E-Type. This two seater is of the similar size to the Porsche 911. Jaguar F-type is all about atrocious acceleration, muscle and tremendous control. The F-type has a superior attitude. Jaguar F-Type epitomizes the perfection of true sports car. The expected price of this car is Rs. 1 crore. The power and Kerb weight of Jag F-type is 488bhp and 1597-1665 kg respectively. This car will be no less than a phenomenon in the Indian roads. If you are crazy about style, speed and control, F-type is surely a must have. Almost all car enthusiasts in India are talking about this wonder. The interior looks delicately sensuous and the body looks muscular. Although the car is designed to conquer the Indian roads but how well it can handle the ugly terrains, potholes and speed breakers is the question. The good looking gear stick sits in the middle of the console that helps you to select your travel direction. You can expect a supercharged engine and a painless torque. It’s advisable to toe the accelerator lightly for enjoying a perfect ride. Jaguar F-type will be a silent beast on the roads with its sound absorbing system. You are destined to get the most stylish ride of your life with Jaguar F-type.